FE: I notice from your Free-eBooks.net profile that you are a fan of the supernatural; specifically The Vampire Diaries, Angel, Lord of the Rings, Sherlock Holmes, and Star Wars. These are series and stories that I am also a huge fan of, which makes me eager to ask: What are your reading right now? What’s on your nightstand? RHD: I actually just finished reading my first book on a kindle! My husband bought me a Kindle Fire for my 39th birthday. I was very excited as I had wanted one for awhile now, but just had not broken down and made the purchase. The book I read was by H. P. Mallory, the first book in the Jolie Wilkins series. I love her writing style! Plus, it’s nice to take the time and read a book, and get out of my own writing brain for a day or two. Note to my younger readers though, its an adult themed book. FE: All writers struggle with challenges be it the more commonly known “writer’s block” or other real life challenges such as a day job or family. What were your biggest challenges to date and how did you overcome them? RHD: I have had many challenges. Most are, oddly enough, outlined in a new novella called My Glamorous Life as Self-Published Author. It delves into my experiences in self-publishing, mainly focusing on the many mistakes I made during the first few years, in hopes that others thinking of self-publishing can get an up close and personal look into the life they are about to enter, and also learn from my mistakes and successes. My biggest challenge occurred when I finished my first book, back in 2006. It was the book that would eventually become the first book in the Fated Saga series. I jumped into self-publishing after racking up over 300 rejections from literary agents! I make this sound like a short process, but this took a couple of years, many revisions and edits, learning how to write query letters, bouts of depression and nearly giving up on my publishing dreams. Unfortunately, it wasn’t until after I had given up signing with an agent or publisher and decided to self-publish, that I realized my book still needed a lot of work! I made the rookie mistake of publishing too soon. Mainly in the editing department. I had always prided myself on being top-notch when it came to English and grammar, but after taking about ten years off from writing, I had NO idea how much I had forgotten. I needed a huge refresher and a ton of help! Once I felt like I got a hold of this issue, my next biggest challenge was and is, time! Being self-published means you have to do everything! It is not just writing a book… that’s the easy part! You have to figure out how to make book covers, create websites, how to publish, market and so much more. When I started out I was working a full time job and a part time job. Never mind all the normal life events that happen… just recently I was able to reduce my schedule to two, part time jobs. So I’m just working full time now, and trying to write. It’s not where I want to be yet, as I do very much want to be a full time writer, but I’ll take whatever progress comes my way. Thankfully, I have yet to experience any bouts of severe writer’s block. More like writer’s exhaustion… I cannot count how many 16-18 hour days I have put in over the years. Basically, I just try to keep moving, because once I take a break, I crash. Hard! And it can take weeks, sometimes months to get back into the groove. FE: Is My Glamorous Life as a Self-Published Author a manuscript you would be willing to share with the Free-eBooks.net community? My Glamorous Life as a self-Published Author: A personal, honest and humorous sneak peek into the life, dreams and nightmares of a self-published author. This began as a blog, containing memoirs of my first three years in the Self-Publishing Industry, during the years of 2006-2009. It has since been expanded upon and turned into a book delving into those first three years, and also includes an addendum for the following three years, through to 2012… including successes, failures and hard lessons learned about myself, my writing skills and the publishing industry. If you’re thinking of self-publishing, and have yet to delve into this world, give this a read first. At the very least, avoid my mistakes and learn a little more about the world of self-publishing. FE: You mention struggling with editing as one of your challenges. Editing is something most people take for granted. A lot of our readers expect eBooks to be written in flawless language and are very vocal about their disappointment when they are not. So my question is: do you currently hire someone or have a set person who helps you with editing? How do you get your editing done? RHD: Editing is a difficult task for me. Well, it is getting easier. To put it bluntly though, I took ten years off from writing and when I came back to it, I had no idea just how much I had forgotten. I was suddenly lost in a sea of words and rules I could not understand or remember. I started my process with creating my own personal editing guide, with all the best tips and most common mistakes made by new writers. This helped me a ton. But it was still not enough. No matter how much you edit or how much experience you have writing, you need more than one pair of eyes to read your manuscript. There’s just no way to catch every error. I am very lucky now to have befriended a retired school teacher that proofreads my writing for me. And I agree, as from personal experience, readers are turned off by poor grammar and writing skills. They might overlook the occasional typo or misused word, but they hate being dragged out of a story because they just can’t get passed the errors. FE: I remember seeing your books on Free-eBooks.net when I first started working with the website just over a year ago. Unless I am mistaken, you were in the process of writing the Fated Saga series at the time. Would you care to elaborate when and how you found us or how you were introduced to us and what the experience of being with us has been like over the year (or years)? 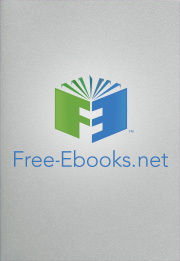 FE: Free-eBooks.net and the crew at Paradise Publishers are dedicated to helping up and coming authors to write and get their work out to the world. What would you say has been the biggest takeaway you have from the experience with us? And what would you tell other new authors that you wished someone had said to you in the beginning. RHD: As per self-publishing in general, I wish someone had told me to slow down and take my time. To not make rash decisions based on personal feelings, desires or based on one person’s advice. Get a lot of feedback before acting on advice. That said, would I have listened? Maybe not, I am rather stubborn! But I made my share of mistakes and I have paid the price. I’m also a better writer and have learned a lot about myself, my writing and the publishing industry. As per new authors, especially in circumstances like my own-no budget for anything– get feedback and do the very best job you can in regards to editing. I also recommend to write. No matter how busy or how much stuff you have to get done, don’t forget to write. The most success I have had these last couple of years is not by my marketing efforts, but by publishing new books. FE: Most writers admit their characters all resemble themselves in some key ways and that their own personalities tend to influence how and what they write. How would you say that your own personality has affected your writing and do you believe that key aspects of yourself can be found in your characters? RHD: In the Fated Saga series, the two main characters of Meghan and Colin Jacoby have always been loosely based on myself. I see Colin starting out as a portrayal of my more reserved and shy self as a young child, and Meghan starting out as the stronger, more responsible, yet always a little uncertain, older self. The gypsy theme, my characters being travelers, stems from my own life as well. From the age of three months to around twelve years old, I lived a nomadic lifestyle. My parents were members of a religious cult and were also migrant workers that traveled around the east coast, working. We did not “settle down” until my teen years. I put that in quotations because even once we settled down, it was never for more than a couple of years at at time. FE: You recently signed on with an agent of sorts. Can you tell us a little about the experience of finding an agent and, as a result, where you see the Fated Saga series and Rachel D’Aigle a year from now? RHD: What I have actually been, is lucky enough to attain a few sponsors. I would love to have my own agent. It would be a dream come true! To be honest, at the moment I’d probably take an assistant more so than an agent. But for now, I am thrilled to have my sponsors. Basically, after seeing that I was having some success and getting great reviews overall, I had a few people approach me that were willing to invest a little money to help me further my writing career. What’s changed? Everything and nothing! I am still in control of every aspect of the books themselves. The writing the marketing etc. But I now have some much needed financial help to get things done. I also feel a great duty to return their belief in me, by doing the very best I can to return their generosity… so henceforth, I’m fully into self-publishing and selling books. Through sites like yours I have spent the last year or so building a reading audience, and their responses have helped me reshape the books and feel much more confident in the product I am now selling to readers. That confidence is something I did not have when I attempted self-publishing previously, and it makes a difference. You need to have confidence in the books you publish. Period. FE: You spoke about establishing an audience and how Free-eBooks.net helped you do that yet recently you pulled all the Fated Saga eBooks from the library save the first one Awaken. Can you tell us what happened to result in that decisions? Do you think you will ever re-list the series with Free-eBooks.net? RHD: This one’s hard, as I realize some readers are upset about it. When I initially posted Awaken, I had intended on posting only book one and maybe book two, onto the site. I was searching for feedback because I was struggling with self-publishing and selling books at the time. I had essentially taken the books off the self-publishing market. After seeing Awaken hit the top ten, I think it was at this point that I decided to load up more from the series. I really did not expect it to be as popular as it was. But I wasn’t trying to sell them at that time either, as they were in the midst of getting a makeover of sorts, based on the feedback I’d received from this site and from others. It was a very hard choice for me to remove the series. But it was simply time for me to proceed with my writing career, which meant unfortunately to stop offering them for free and selling them through outlets like Amazon or Barnes and Noble. That said, will they return at some point? I cannot say for certain right at this moment. After getting my sponsors, I definitely feel obligated to return their investment. I am currently writing the rest of the series, which will most likely entail three additional books. It is possible they may return, I just cannot guarantee at this moment, if or when that might happen. Thanks for reading. Find more similar entries filed under Interviews or visit the blog homepage for more great content from your friends at Free-eBooks.net.